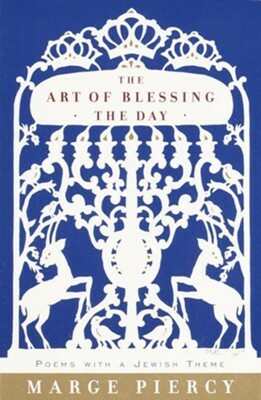 The Art of Blessing the Day is Marge Piercy's fifteenth volume of poetry. Others include What Are Big Girls Made Of? ; The Moon Is Always Female; her selected poems, Circles on the Water; My Mother's Body; Available Light; and, new from Leapfrog Press, Early Grrrl, her out-of-print and previously uncollected early poems. In 1990 her poetry won the Golden Rose, the oldest poetry award in the country. She has also written fourteen novels, all still in print, including Woman on the Edge of Time; Vida; Gone to Soldiers; He, She and It (winner of the Arthur C. Clarke Award); The Longings of Women; City of Darkness, City of Light; and, most recently, Storm Tide, with her husband, Ira Wood. Her fiction and poetry have been translated into sixteen languages. I'm the author/artist and I want to review The Art of Blessing the Day: Poems with a Jewish Theme - eBook.